WBC was founded by two families with an entrepreneurial spirit, and a love of craft beers. 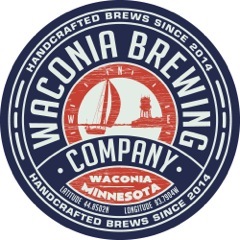 Waconia Brewing started as many breweries have, with the gift of a home brewing kit, which fueled a dream to take their passions to the next level. WBC is the realization of that dream, created for all to enjoy. The taproom features 5 namesake beers in constant supply, as well as ever-changing seasonal selections and limited edition specialty brews available by the glass or to take with you in a growler. WBC produces five year round beers – Chocolate Peanut Butter Porter, 255 Amber Ale, WacTown Wheat, Carver Co. Kōlsch, and 90K IPA, as well as taproom exclusives, and seasonal beers.